This spring 423 children received financial aid as part of CASP distributions. FAR’s dedicated team traveled to Goris, Sisian, Kapan, Meghri, Gyumri, and Berd to give out stipends to the children with support of the clergy of the Armenian Apostolic Church serving in these areas. In Javakhk, Georgia, the support was distributed with the help of Father Babken Salbian, leader of Javakhk’s vicars. According to custom, the distribution began with the Lord’s Prayer. Afterwards children passed to us thank you letter in neatly marked envelopes upon receiving the financial support packages from their benefactors. These letters serve to build strong relationships between the children and their benefactors living in the U.S.
During a CASP distribution in Berd, we met 10-year-old twins Armine and Arman from the nearby village of Aygedzor. Their father passed away in 2013 while serving on active military duty, and their mother – Sonya Arusatmyan had to keep things moving forward alone. She confesses that things were tough in the beginning, but have become much more manageable with CASP support. “Life is very hard in Aygedzor. No jobs, and every day brings new challenges – especially when you are raising four children,” reflects Sonya. She adds that the support has contributed to the improvement of her family’s financial condition and provision of basic needs. The CASP distribution in each of the six cities was followed by at least three home visits. In Kapan, we visited the Mayilyan Family. Armine Mayilyan’s husband had recently passed away, and to pay for the basics of her family and her sons’ education, Armine moved to Kapan from the nearby village of Yeghegis and found a job at a local grocery store. Although her family struggles to make ends meet, Armine values physical extracurricular activities for her sons Tiran, 7, and Tigran, 8. She plans to use the CASP stipend to cover the costs of soccer classes, and the brothers are excited to join a local team in the summer months. We hope that they will participate for many summers to come. 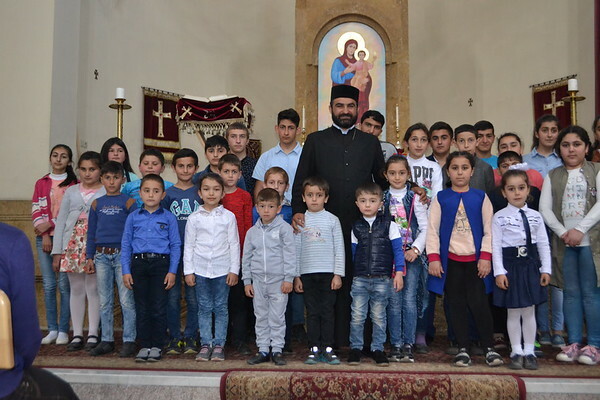 The Children of Armenia Sponsorship Program (CASP) is a FAR project sponsored by the Women’s Guild Central Council of the Diocese of the Armenian Church of America (Eastern).